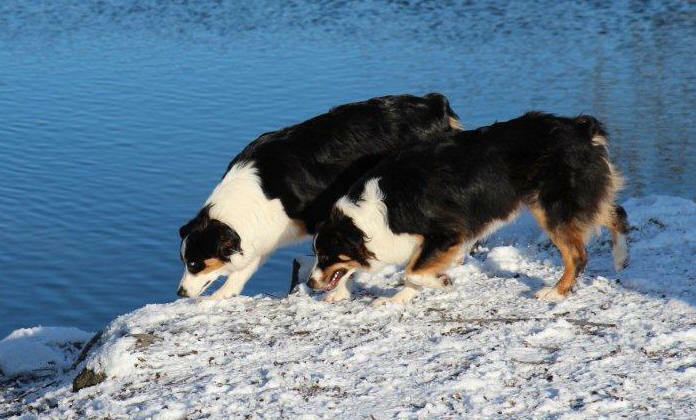 Yes, we had to make a second page so I can post some of the many pictures I get from the folks have that have one or more dog from Faithwalk Aussies! 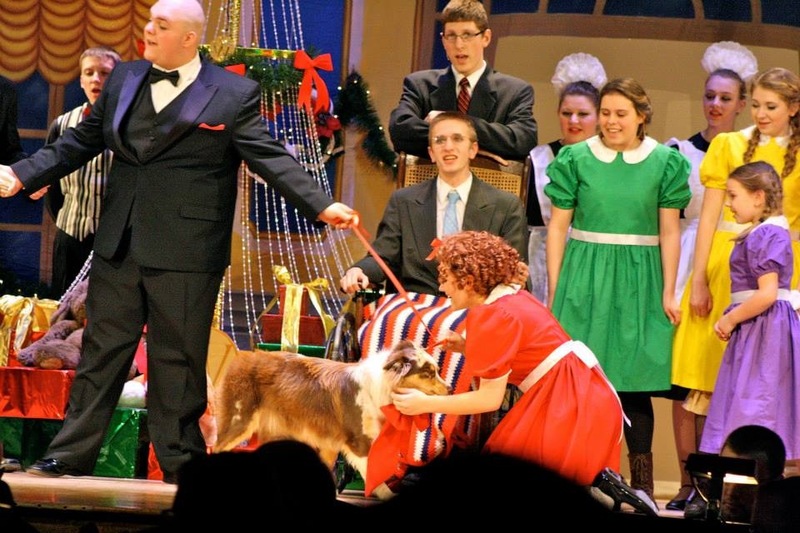 In the 4 photos below, Lucy plays the role of "Sandy" in a production of the play "Annie." She was a hit and had a great time doing it. Lucy is out of Tess and Caleb. 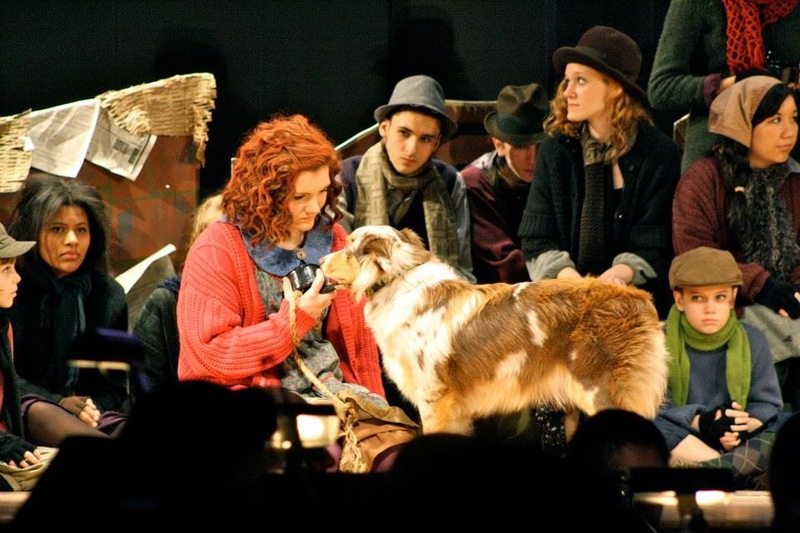 She lives with the Richards family with her uncle Merlin. 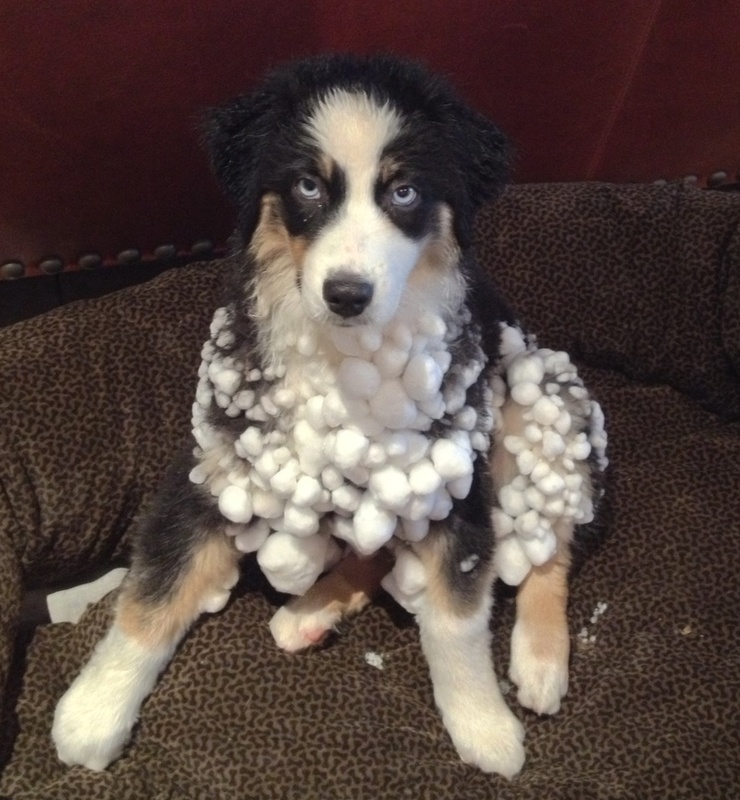 We start with Capri, a 3 month old puppy who just enjoyed her first big snow. 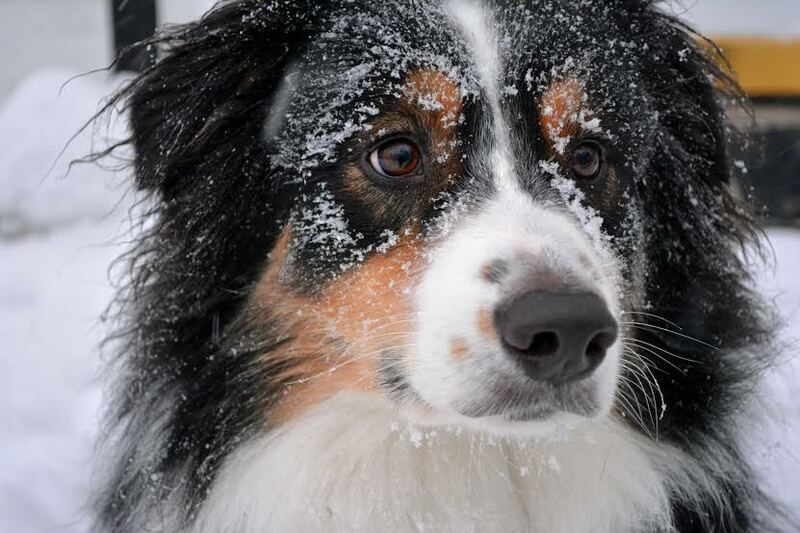 With her puppy fuzz, the snow stuck and made hundreds of snowballs. She looks a little embarrassed but I know the fun she had was more than worth it! 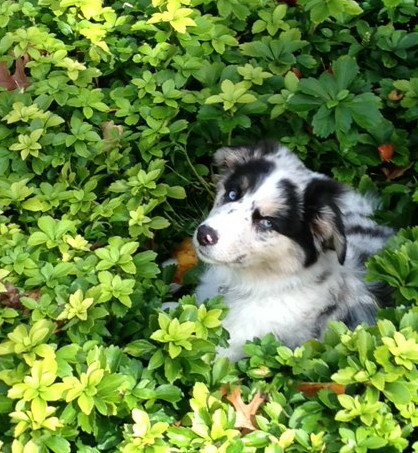 The other puppy is Grace enjoying the ivy. 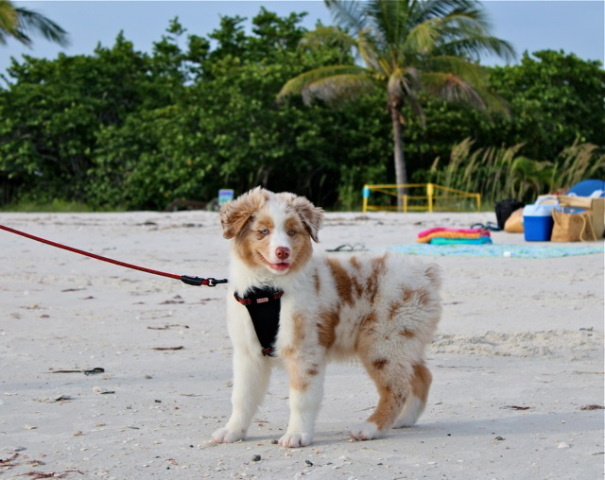 Above and below are photos of Dakota enjoying time on the beach in Florida. He's a Fancy/Caleb son. 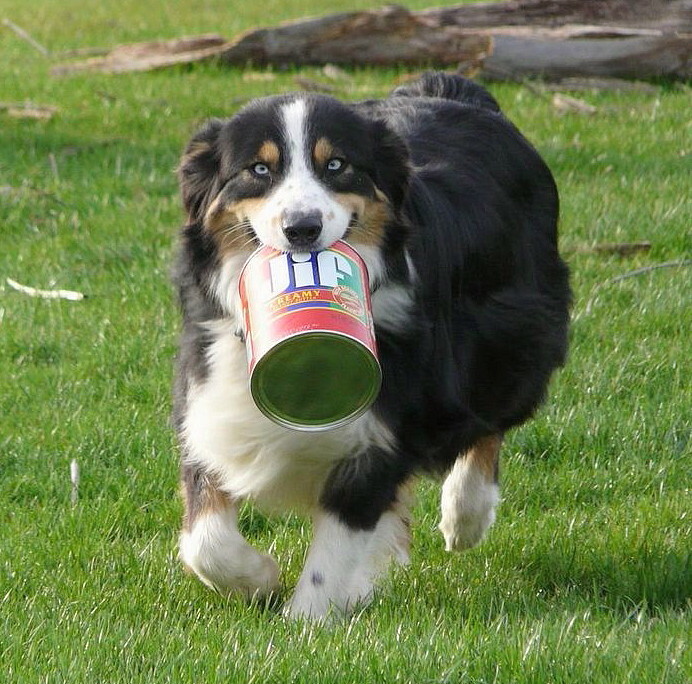 We all know how smart Aussies are. 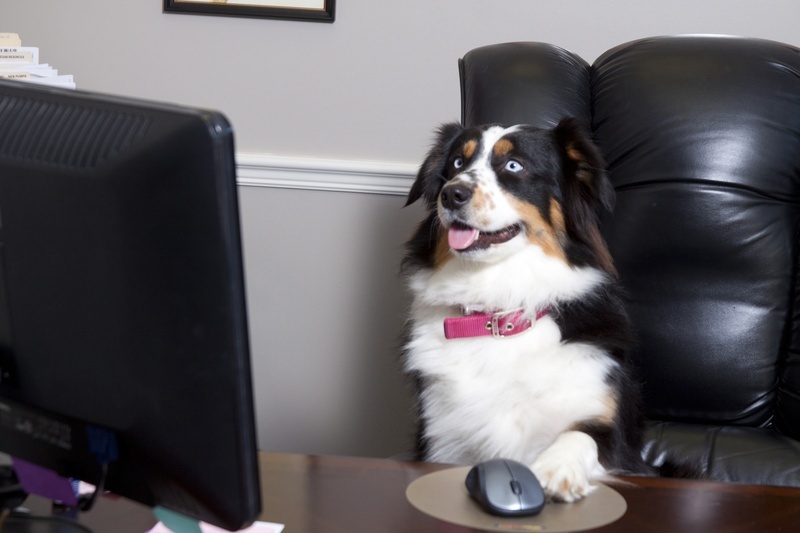 Here is Paisley, hard at work in "her" office. With this kind of work ethic she'll be CEO in no time! 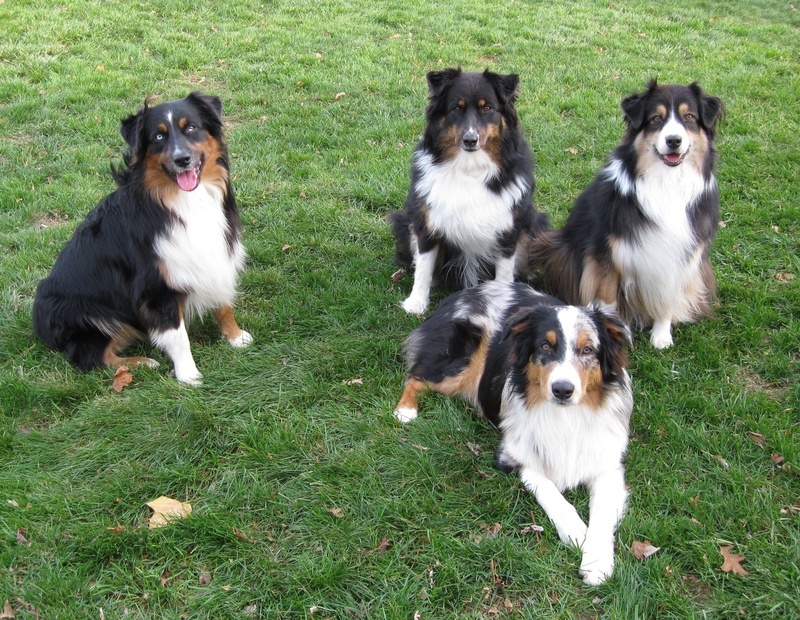 Two year old Joey and senior Aussie Rocky with "their" girls. 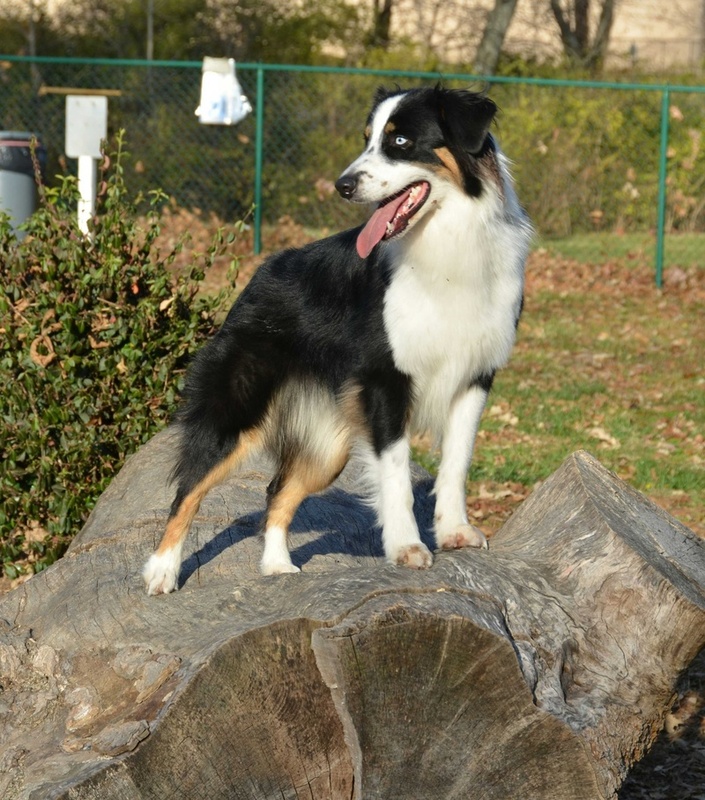 Joey is a Faithwalk Aussie and he is become the older Rocky's "ears", as Rocky's sense of hearing is gone. 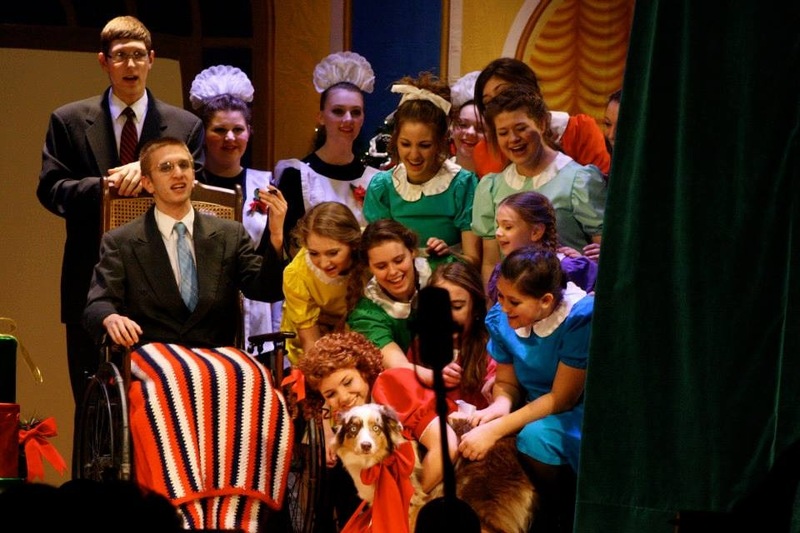 It is SO neat to see how these dogs take care of other members of the family. 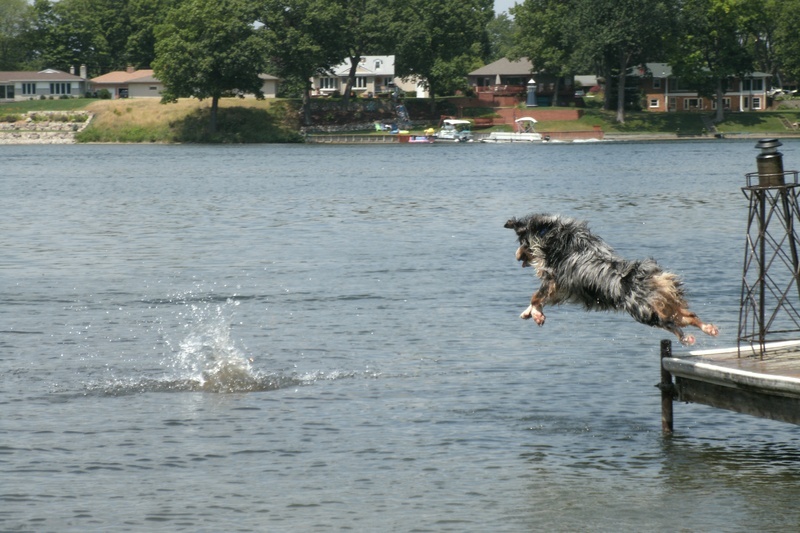 Yobbo enjoying dock diving at the lake near his owner's home in Michigan! 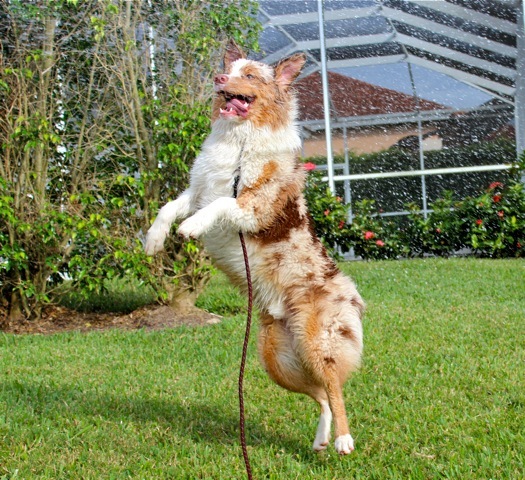 Most of our Aussies LOVE water sports! BIS winning Charlie poses with "her" girl, showing off some of her recently won ribbons. I can't keep up with all her titles so this list is not complete, but here she is! Elvis showing off his handsome looks! California "dude" Malakai is equally at home in the city or the mountains! This is Smokey, a Faithwalk grand pup. 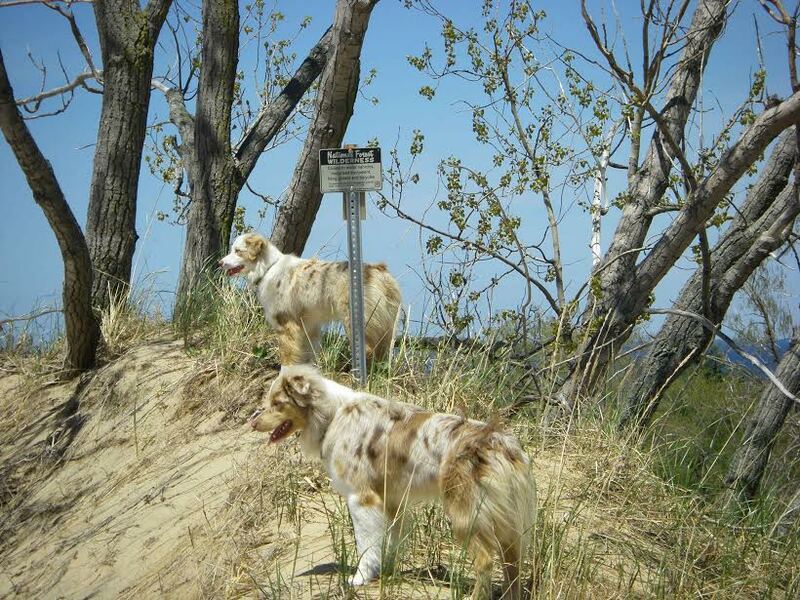 His mom Ellie (Ch Faithwalk's Bold Elegance) is proudly owned and loved by Lake Michigan Aussies, and this picture is used with their permission. Four happy Faithwalk Aussies belonging to the Yanchuk family. 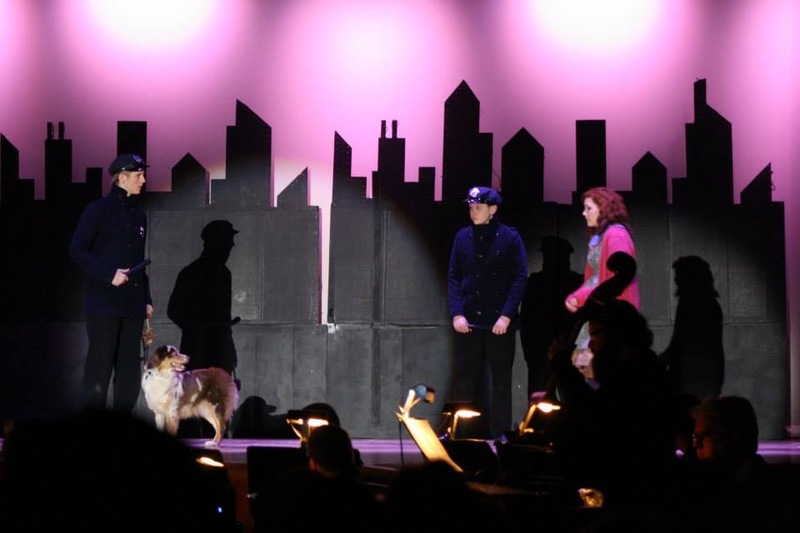 These are Gino, Nikki, Bella and Theo (merle in front). 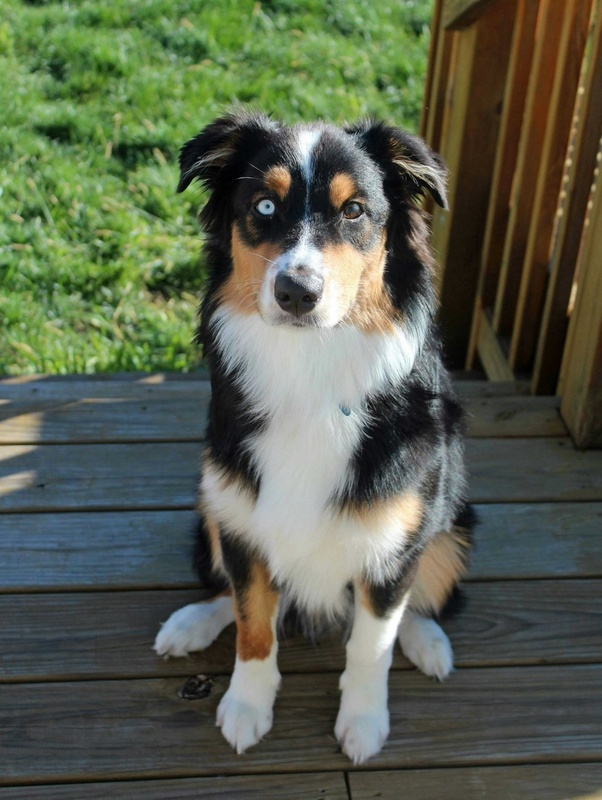 We love our repeat buyers as we know they will love another of our puppies, and are glad they are happy with the Aussies from us. This is Micah and Gus. They grew up together but are from different litters. It is a nice comparison of the lines too, the variation between a more moderate type (Micah) and a more stocky type (Gus). 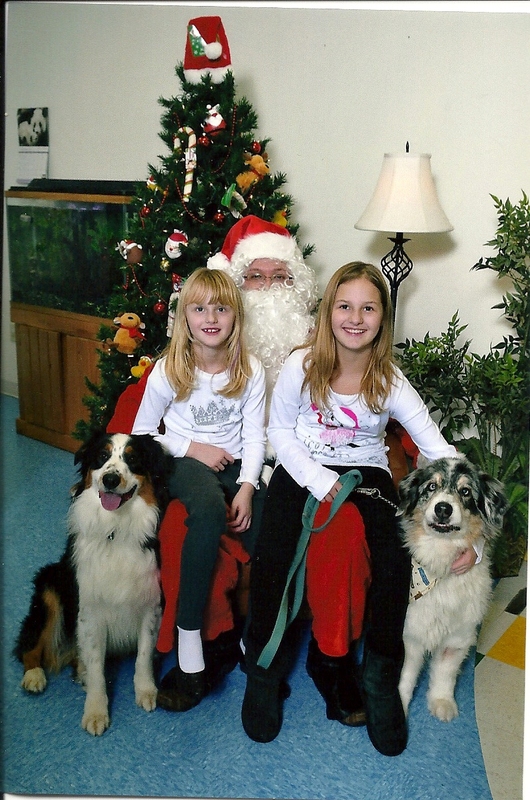 Gus looks like a blue merle version of his dad Dylan, and Micah shows traits of both parents Fancy and Logan. Abbey is Logan daughter. Yes, some of his pups have prick ears. LOL! 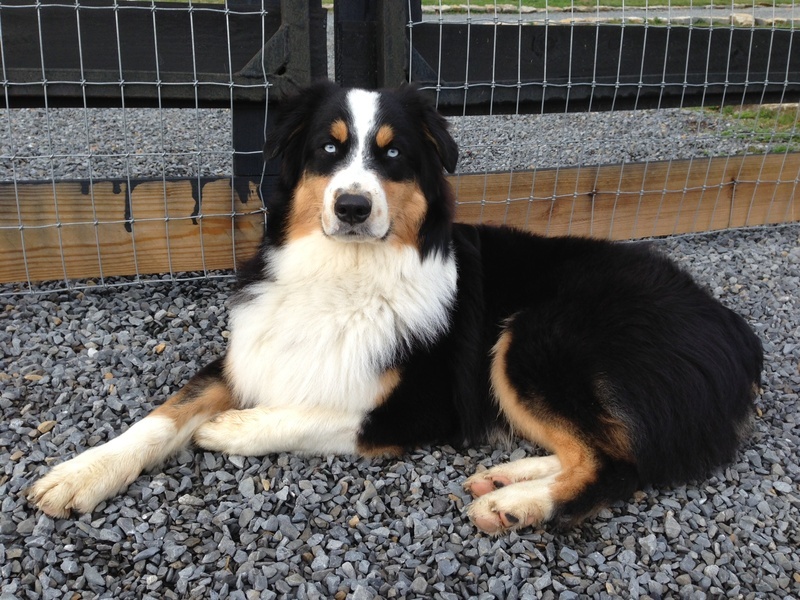 Many of them out of he and Fancy also are certified Therapy Dogs, with amazing temperaments. 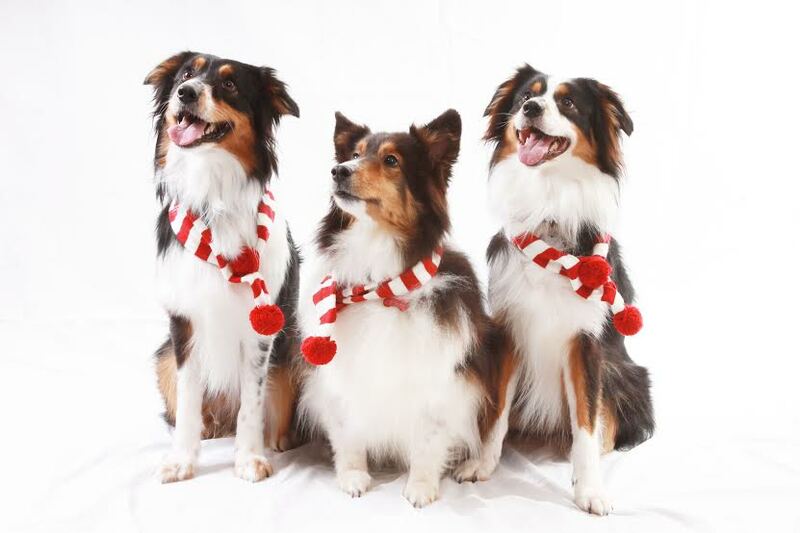 Nellie (Passion/Montana), Snickers (sheltie), and Lacey (Lucy/Montana) sitting pretty! 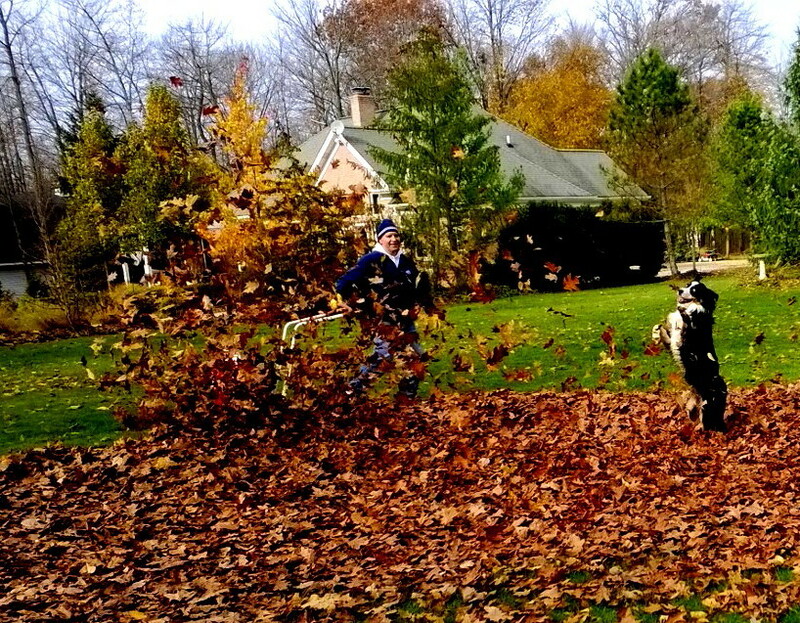 Silly Rowdy "helping" with leaves. Aussies are such good helpers! Bella, Gino, Theo and Nikki (behind) in their annual family photo. "If the Son therefore shall make you free, you shall be free indeed."